Congratulations to the girls on their first win of the year. We Won 9 – 0. Our main goals for today were to stay in position which they all did pretty well (we had a right back score a goal!) and to make sure they controlled the ball first and then passed to a teammate which they did fantastically well. There was some great passing which assisted in breaking down the large numbers of defenders we faced at different times. Another great aspect of our play was the girls taking on their opponents and using their speed to advantage. 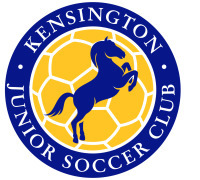 Thank you to both Sophia (Trixie) to sub for us form the Gold team (and score her first goal for Kensington) and Thea who played her first game today and showed great composure under pressure. 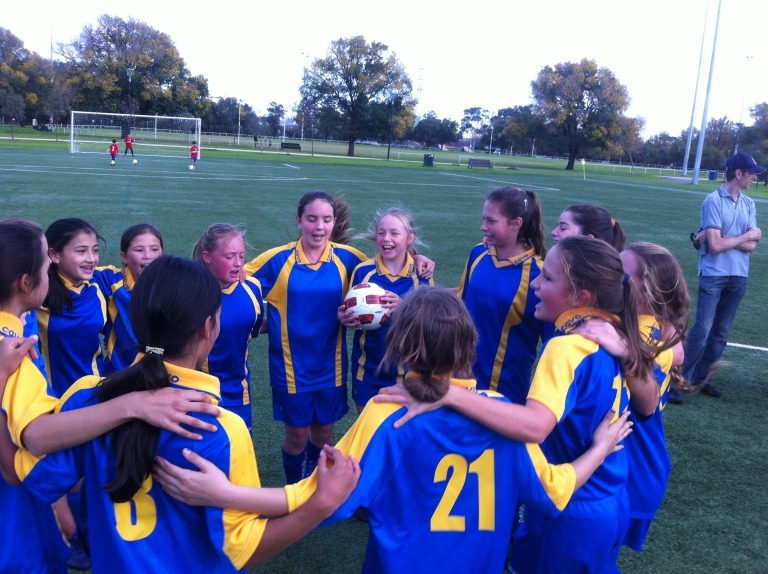 Our goal scorers were: Abby 1, Sophia (Trixie) 1, Hazel 1, Merina 1, Grace 1, Helina 2 and Elena 2. The Kanga’s Gold team lost 5 – 0, they played well especially considering the number of new players in the team and their second half was a lot stronger than the first. They will improve every week especially with the help of all the under 11’s. First game for the newly formed Gold team, and we came up against strong and physical opposition from Westside, who beat us 5-0. To put this in perspective, 8 of the Gold team are playing their first season and two were playing their first game ever! We are an inexperienced team compared to most of the others, but every single player improved their performance this match - and without the confidence boost that comes from having lots of more experienced players around them. Gold team has heaps of potential and this started to show through in the second half when we were able to put some pressure on the oppositions goal. Special mentions to Trixie who subbed for the Blue team before our match and gave goalie a try despite stomach cramps, to Alice who stepped in as emergency goalie, and to Grace and Elena who acted as emergency subs - we would have had some very tired players without you! And to Lucy who powered on and so nearly scored - all after playing a full game for u12s before our match. Well done all! I'm proud of you. To the girls' credit, not a head dropped and the end-to-end game continued with Elwen finding space to run down the right side all the way to goals and slamming a hard shot in off the keeper to bring things back to 1-2. Another goal to Elwen after poaching the ball in midfield from a Watsonia goal kick and the game was all square which was how it ended. A very exciting and satisfying game and all players, coaches and parents from both teams were excited to have been part of it. Until today's game Watsonia had only conceded 1 goal in 3 games. The play today from the Joeys was generally good and they managed to do what we have been discussing and practising at training. Midflielders just need to make sure they are pushing up quickly in support of attacking moves. We also need to show a little more aggression about chasing and winning loose balls, and we also need to practice our THROW INS. Both feet must stay on the ground! Today was a much better test for our goalie in training, Hafsa and she put in a very solid game and to her credit kept very positive all the way through. One other thing to work on will be communication esp in defence - that's a job for Hafsa as goalie and also Ava as our central defender - who also put in another very solid game today. Great job again today girls. You made us proud again. Eltham arrived today at the pitch at 8am – a full hour before the game and were fired up and ready to play. It was a great game of skill and the referee said that the level of play was beyond that she has seen in many of the Under 14 games she has refereed. Congratulations all round as everyone did their bit despite up being 1 player short – thanks so much to Lucy C from Under 11s who stepped in and made several important contributions. Both halves were tightly played and I think to be honest the 0-0 was fair result. Ari led by example in centre midfield as she chased and passed and found space all over the ground. Ishi played her heart out as left forward and ran like a steam train on several occasions down the left flank only to be cut off by one of the Eltham defenders. Ruby made several good passes from right mid into attacking positions but we just struggled to finish off our shots at goal with Rozie having several good attempts one just shaved the post on the half time whistle. Our defence held solid as always with Lola, Sarah, Lam Nhi and Lauren all providing support to Georgia who covered lots of ground in her steady as she goes approach to controlling the back half of the pitch. Charli combined well with Ishi on a number of occasions down the left side of the ground and kept her cool when Eltham made a few breaks on goal. There were several very skilful Eltham’s players today who managed to get around a Kensington player once but we always had a support player there which is exactly what is required. A few more things to work on at training as we play Moreland Zebras next week away. Great work everyone and thanks for the parent support as always. A game that we could have won and just as easily could have lost. A draw was a fair result in the end. We had our ever so dangerous striker Isabella making damaging runs down the wings carving up the opposition’s defense on many occasions, always just shooting across the goal inches wide. If one of these numerous chances just snuck in on the other side of the post it would have given us the three points. Likewise Point Cook had their striker imposing herself on our defense making her runs clean through the middle and challenging our goal keeper on more then one occasion. Going against the wind in the first half, after soaking up 15 minutes of pressure Eloise made a run out of mid field expertly beating the offside trap, she struck the ball hard into the keeper only to see the ball deflect to Isabella who neatly crossed is back to Eloise for a tap in. 1 – nil against the run of play. The pressure continued on for the rest of the half. Hannah was a stand out in goal closing down the opposition with critical saves on a number of occasions. However we could not hold off and just before the half time whistle the score line was evened up. In the second half kicking with the wind we had them under constant pressure however they were using the counter attack to great effect. Point Cook hit the lead in the middle of the second half. Even with the disappointment of going a goal behind it was great to see the girls rally together and have the belief that they were still in the game. Our sustained pressure and determination finally paid off with about 5 minutes left on the clock. From a corner kick the ball bobbled around in the penalty area and Emma side footed the ball into the net. It was her first ever goal for the club. All the girls got around her and celebrated. In the final few minutes we could have stolen a win but unfortunately it wasn’t to be. I would like also to thank Abby from the U14 b’s who helped us out on the day. The U18 had a wonderful away win against Brighton. The final result was 8-2. This has been a well reserved and needed win, after the disappointed loss last week. Congratulations to all girls, however as a coach I would like a particular congratulation to all the girls who played in defence. Some of them played in defence perhaps for the first time. Due to some girls away or sick, we had to have an improvised defence, and well….they played excellently. They not only, very rarely gave the girls of the other team the possibility to enter in our penalty area, but as well gave the opportunity to our middle and centre forwards to control and have possession of the ball and then inevitably, score goals.